It’s impossible to believe that we are almost at the end of 2018! We hope you’ve had an awesome year. The year for us at ThinkThru was all about growth. It has actually been the biggest growth year since I started the company. This means we saw a lot of good things, of course, but we also saw some surprises and went through many challenges. I think the best thing that happened was the addition of new, wonderful people that make up our team. ThinkThru was a solo project for me for a couple of years, so reaching the point where I could bring new people in has been great and very helpful. I also think it serves our clients better, and the solutions we are creating are much better because of all the knowledge, experience, and different perspectives we now have on our team. The second best thing that’s happened in 2018 would have to be the new client relationships we are forming that will take us into 2019. It’s really exciting to have clients in industries that are so different, everything from cybersecurity to holistic medicine. We have a cornerstone client (in fact, the very first client of ThinkThru) still with us, and that means the world to me personally, but also to our company as a whole. They have continued to place their trust in what we’re doing, and they continue to see positive results several years later. The third best thing from the year would probably have to be the fact that we won an award! It was the first time we submitted work for an award of any kind, but we took a chance and submitted one of our client projects to the Omni Awards. We are so proud to have gotten a silver award for one of our mobile learning projects! It makes sense that this is the year when we won our first award, because things look quite a bit different now than they did at the beginning of the year. In the beginning of 2018, we were strictly doing creative/project-based work, but now we are serving more as strategic partners and advisors for some of our clients and taking a more strategic role in how they implement and deliver learning products to their customers and other organizations. Of course, this has been a learning opportunity for us too. I actually think our entire team has learned and grown a lot this year. Most of our team members came to us with a very specialized, unique skill set that did not involve a background in education or online learning. 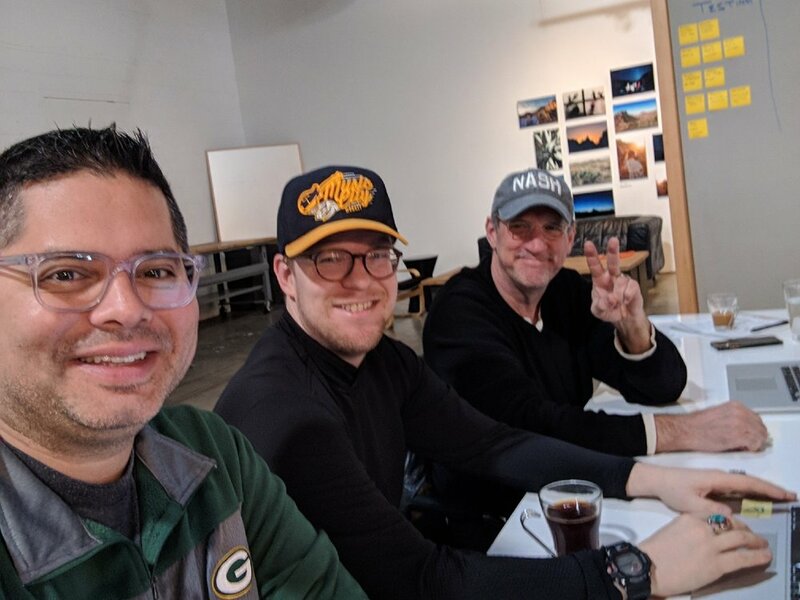 It’s been really interesting seeing how each new team member adapts and ultimately adds new ideas or ways of doing things to make our educational projects. One of my biggest personal learning experiences that is still ongoing is learning to scale the operation of ThinkThru. As a teacher, the foundations of developing lessons, goals, objectives, and courses is something I’ve spent a lot of time doing. I am learning how to scale those functions while adding new ones, such as video production, scripting, animation, etc. And all of that must be done while also project managing and handling new business development functions. We couldn’t do all of this without help, so this takes us to the real point of this post, the First Annual ThinkThru Best Products & Tools Awards! The tools we have highlighted are really a collection of products, software, and more that we’ve been using for a while or were introduced to this year. They’ve either made a huge difference in our workflow, our end products for clients, or our personal/professional development. While they have been useful to us, we feel confident that they will be useful to you too. The good news is that you can try most of these out for free since many have a free tier. Some of these tools are very specific for production, but others are great for general design, learning content creation, course development, and more. We’ve broken the awards into three categories for now: Platforms, Gear, & Events. *Disclosure: We actually use this platform so frequently on projects that we now receive a small percentage fee if you decide to use the link on this page to click through and make a purchase. We wanted to be transparent about this for this post, but this had no bearing on including in the awards. We merely love this platform and highly recommend it when it fits our clients’ needs. Click to visit Mighty Networks. We are all about the Mighty Networks platform right now! We would love for you to join our network. 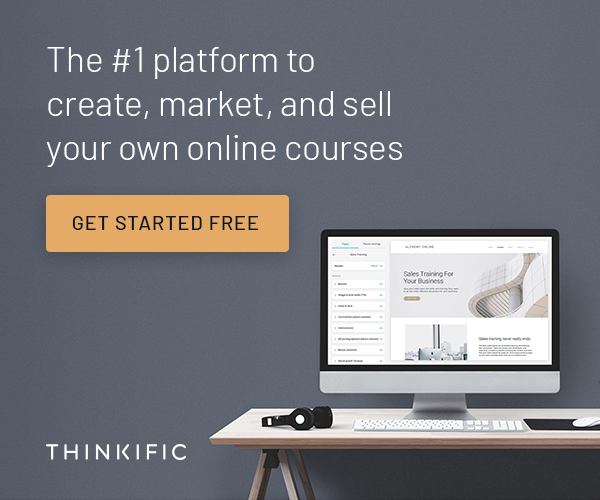 It’s free with the early launch, and it’s our way of sharing and helping like minded businesses, owners, and teams continue to accelerate their growth with educational products. 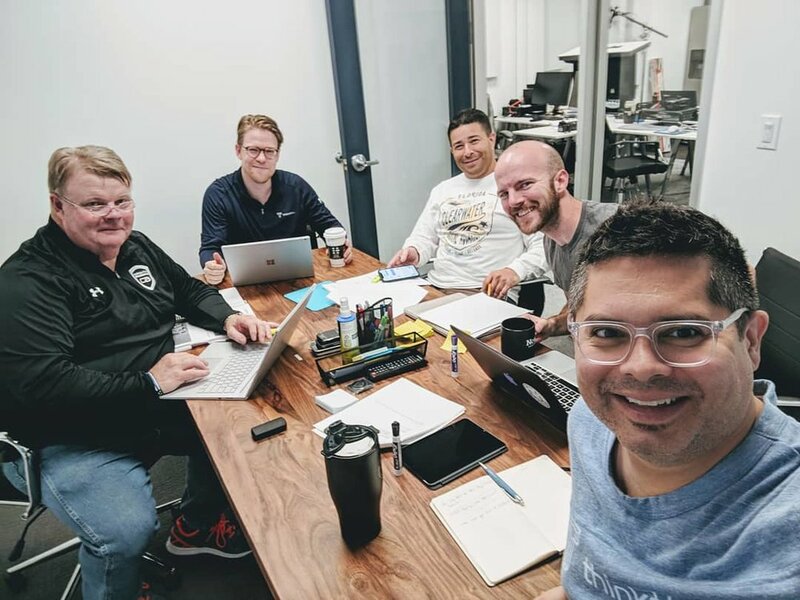 We absolutely love what this team is putting together, and we are super stoked to be growing our own Mighty Network as well as helping our clients expand their reach with the platform. Click to view Adobe XD. We became huge fans of this tool in 2018. It allows us to prototype our animation, handoff design ideas for Storyline, develop presentations, mockup stuff, you name it. It’s pretty freakin’ amazing, AND it’s free. *Disclosure: You’ll notice that we’ve linked to an Amazon product page for each of these items. These are Amazon Associate links and we will receive a very small commission if you choose to purchase after visting the page from our link. We use this gear almost every day and have no direct relationship with the manufacturers. From amazing stills, product photography, videos, explainers, tutorials, and a lot more, it’s our favorite camera, hands down. We had several lighting setups throughout the year, but one thing kept coming up in our initial shoots -- needing more light to properly expose in some of the corporate spaces we were working in. After renting lights, borrowing gear, and trying (and returning) other equipment, we finally purchased the 120d. It is without a doubt, an amazing light that beautifully lights presenters on camera. Audio is one of the most challenging aspects of production in our projects, and we are constantly at the mercy of corporate spaces, studio locations, or other spaces that we’re producing in that may not have good acoustics. These wireless mics have really stepped up the quality of audio we’re able to deliver to our clients, which improve the experience for their end customers. This was truly an awesome event! We met wonderful friends and made real connections. Plus, it’s in Vegas, so what else do you really need to say. We are so thankful for all of these products, tools, and opportunities to grow and learn. We constantly strive to find the best of the best for our clients, and we feel like we’ve succeeded with that in 2018. We can’t wait to see what we can discover in 2019! Sign up with your email address to receive a roundup of ideas, strategies and updates to grow your learning business.